Nigel is an experienced and Advanced Practitioner in Clinical Hypnotherapy and Neuro Linguistic Programming. Prior to launching his private hypnotherapy practice Nigel spent many years working in the media industry and launching his own successful search & coaching consultancy where he continued his studies of the psychology of human behaviour and the power of the mind that creates restrictive behaviours. 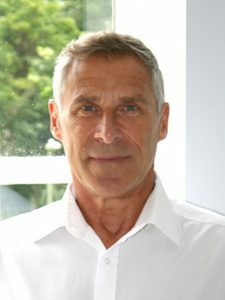 As an independent practitioner for over 30 years Nigel has worked with clients all around the world using a combination of skills such as Cognitive Behaviour Therapy, Neuro Linguistic Programming, Clinical Hypnosis, Mindfulness Meditation, Self Hypnosis and Brainwave Recursive Therapy. By using a combination of appropriate techniques, rather than a single discipline, he is able to help his clients achieve a more powerful and effective transition to where they want and need to be. Nigel has qualified from the top training institutes The Hypnotherapy Training Institute London, Performance Unlimited, The Gustav Kaiser Swiss School of Human Behaviour – NLP and Hypnotherapy World in Sussex and The Essex Institute of Hypnotherapy. He is also a professional member of The British Institute of Hypnotherapy and the Association of Neuro Linguistic Programmers and is governed by their professional Codes of Practice. Through his experience and qualifications he is one of few to be accepted by the CNHC which gives GP’s and NHS health care professionals the confidence to recommend him. Nigel lives in Winchester and has three children. He is a keen sportsman and committed triathlete having completed many Olympic distance triathlons, and numerous Half Ironman events. Success in sport he attributes to the fitness of the body but also significantly to inner mind training. Nigel is also an experienced Inner Mind Sports Coach. Hypnotherapy can help you make extraordinary positive changes to your life; to learn more you can email me on the contact page to book an appointment or visit my Hypnosis Shop to download my recordings.